Step two is to turn off the power, to the thermostat, at the breaker box. Usually the power to the thermostat is not that dangerous, but one never knows how much power is truly running through the lines, so turn off the power to be safe. Step three is to remove the old thermostat from the wall. Most thermostats are in two pieces; the main portion just slides up and out, exposing the base plate. Use a screwdriver to remove the base plate from the wall; do not disconnect the wires, from the base unit, yet. Step four is to label the wires. You will see letters, on the base plate, and wires connected to the screws at the letters. These wires may not, necessarily be color-coded, i.e., the blue wire may not be connected to the "B." You want to label the wire with the letter it was originally assigned, for example, if the blue wire was connected to the "R," place an "R" label on the blue wire. You can use a piece of tape or the chosen thermostat could come with a label sheet. Preventing the wires from falling back into the wall is step five. The professionals wrap the wires around a pencil. The weight of the pencil hold the wires in place. If the wires fall into the wall, you may have to contact a professional to fish the wires back out. Step six is installation of the wall plate. Use the wall plate as a template to mark your holes for the screw. You will want to make sure the thermostat is level, because the mercury tube that registers the temperature will not provide accurate readings. If your thermostat comes with anchors, use them as well, as they support the weight. Step seven is when you are ready to hook up the wires to the thermostat. Use the labels you made in step four to match up the wires to the proper connectors. Wires on a heating and air conditioning system range from two to five wires, so you may have empty connectors. This is normal. Push any excess wire back into the wall. Step eight is to place the thermostat on the wall. Install batteries in the thermostat. Usually a thermostat requires two AA batteries. Place the thermostat against the wall, slightly above the wall plate. It then slides down to catch the grooves to sit in place. You are now ready to power the thermostat. Return to your breaker and turn the power back on. And step 10 is to program your thermostat. This is the most important step; if you don't program the thermostat, you are not getting the benefits of your recent purchase. Every thermostat is different, so you will have to read the manual to get the exact procedures. 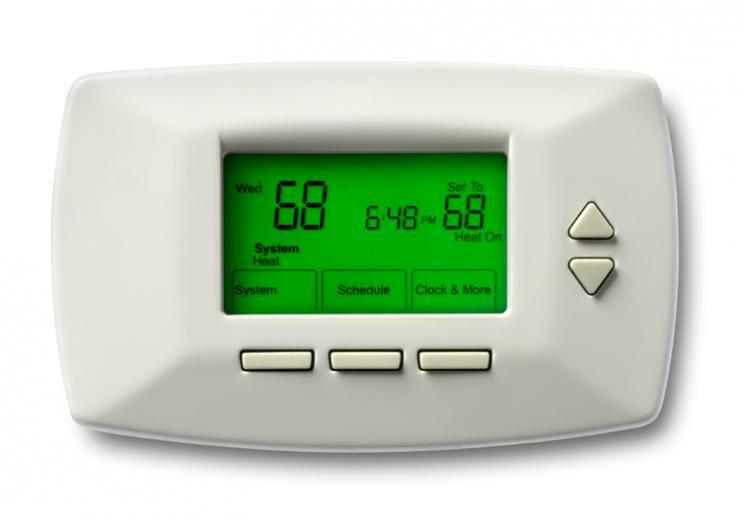 Programmable thermostats are easy to install and use. They can be installed within one hour. Once you program it, you don't have to worry about making adjustments throughout the day. With the ease of install and utility bill savings, there is no reason to not install a programmable thermostat. 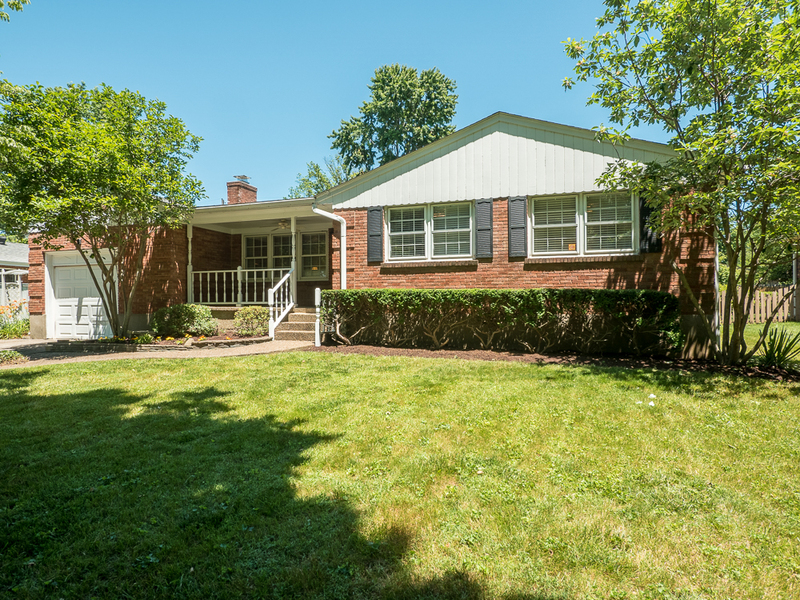 Fully renovated ranch home, just off Brighton Ave and Bardstown Rd. Home's floor plan has been opened up with high-grade cabinetry, appliances and finishes throughout. The open kitchen/living area is great for entertaining especially with the built in breakfast bar. Large master bedroom provides ample living space and storage. Back patio and large, shady backyard, leads to additional patio and spacious 2-car, insulated garage. Garage entry is from private dead-end alley. Lovely 3 bed/2 full bath ranch in Wildwood Subdivision. Features hardwood floors in living room, office & all bedrooms. Home includes eat-in kitchen with french doors leading to large screened in deck overlooking large, level backyard with full wood privacy fence... perfect for entertaining! Kitchen opens to office & the large living room with fireplace, built-in bookcase, crown molding & large picture window. Main level also includes the master bedroom with crown molding & an attached full bath, 2 additional bedrooms & another full bath. Basement has a lot of potential. It has already been drywalled into a great room, laundry/storage room & bonus room...just needs flooring. Exterior also includes an inviting front porch. Whole house backup generator. Convenient location. Must see! 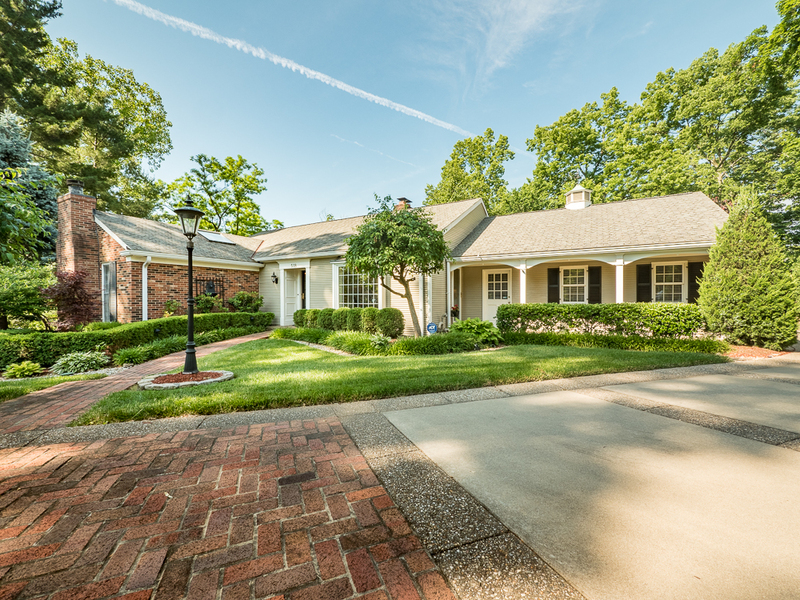 We have four amazing open houses this Sunday, June 5th from 2-4PM in the Louisville! Two homes in St Matthews, one in the Highlands and one in MIddletown. 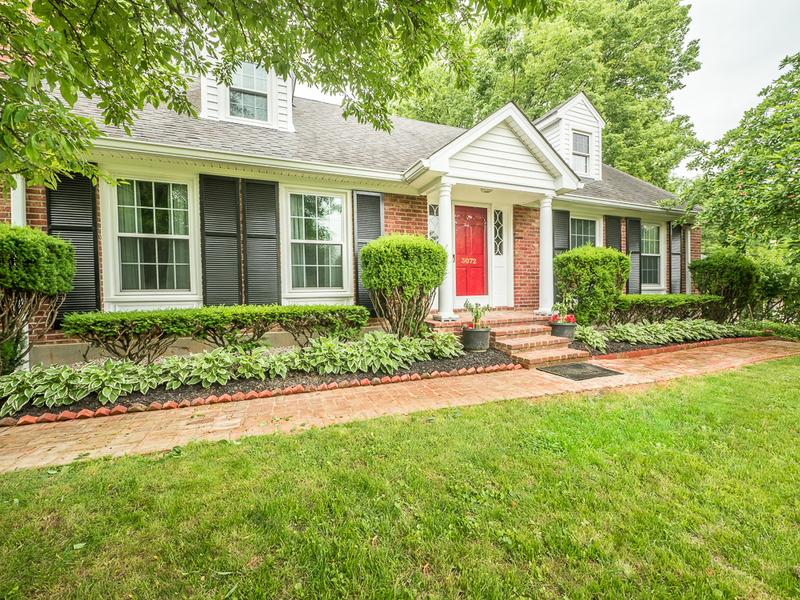 Gorgeous 4 bed/3.5 bath ranch on private cul-de-sac in Cherokee Gardens! Hardwood floors in Kitchen, Living room & dining room. Eat in Kitchen features granite counter tops, island, custom cabinets, bar, desk, pantry & leads to front porch. Living room has crown molding, fireplace, custom wood wainscoting, is open to dining room & also leads out to deck through french doors. Dining room has crown molding, wainscoting & also leads to deck through french doors. Master bedroom has custom built-in closets/drawers along entire wall, french doors leading to deck & has a huge full bath with whirlpool tub, separate large shower & his & her vanities with granite tops. 1st floor also has a half bath & another bedroom with 4 closets & vaulted ceiling with skylights currently a sitting room. Basement is brilliantly finished with possible 5th bedroom ensuite...perfect for guests! Basement also has a great room with built-in bookcase and crown molding, 2 other bedrooms, full bath, laundry, storage space and entry to side patio. The exterior is absolutely magnificent with a multi-level deck, patios, gorgeous landscaping including a pond with waterfall, stone retaining wall, rock stairs that lead to yard, gorgeous driveway and lots of trees and privacy. Home alarm, outdoor lighting and irrigation, This home is a must see! Beautiful 4 bed/ 3 bath home next to the Seneca Park loop! Take a stroll in Seneca Park, open the back gate, and take a deep breath as you view the terraced landscape of this inviting backyard. Features gorgeous crown moldings throughout main level, hardwood floors throughout 1st and 2nd floors, new driveway, newer triple pane windows, newer roof & new high efficiency furnace. Eat-in kitchen features brand new stainless steel appliances with 3 yr limited warranty, corian counter tops & custom cabinets with matching built-in bench for custom table. Living room has fireplace & is open to Dining room. 1st flr also includes large master bedroom, another bedroom & full bath. 2nd floor has 2 large charming bedrooms with walk-in closets & full bath. Basement includes possible 5th bedroom ensuite perfect for guests! Basement also includes family room & exercise area. Beautiful home in amazing location! This home is a must see! 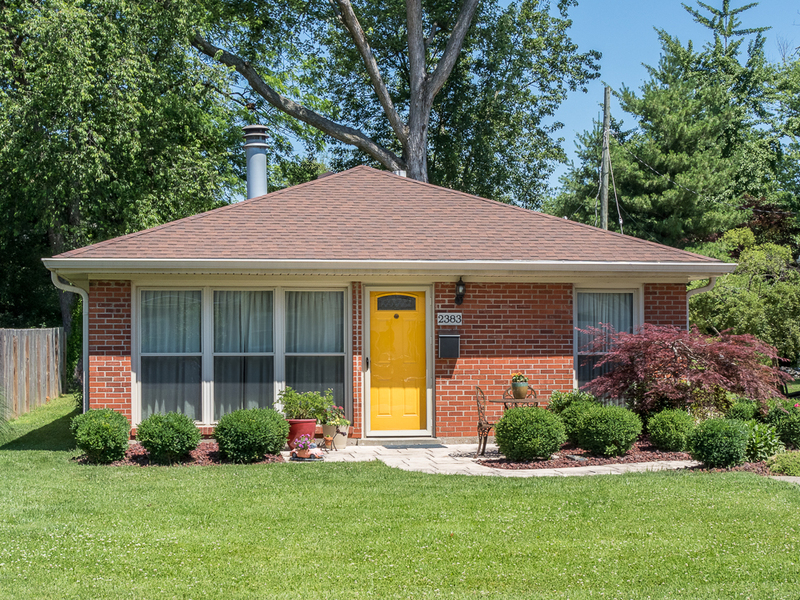 Superbly updated and charming 3 bed/2 full bath bungalow is the Highlands! Meticulous attention to detail in maintaining home's original character throughout extensive renovation. Some features include newly refinished hardwood floors with custom detailing throughout 1st floor, elaborate trim, crown molding, lots of natural light & the entire 2nd floor transformed into a huge master suite with hardwood floor, sitting area, large walk-in closet & a huge master bath with his & her vanities, whirlpool tub, large tiled shower, beautifully tiled floor, built-in storage & skylights. 1st floor includes eat-in kitchen with all new stainless steel appliances except oven & large picture window, living room open to the dining room which is open to florida room. They include beautiful french doors to separate those rooms when you prefer privacy. The 1st floor also includes 2 good-sized bedrooms also with hardwood floors and charm, a full bath with jetted tub and a sunroom at the back of the house. There is also a large covered front porch which leads into the living room. It is perfect for relaxing and can also serve as a mud room. The basement has a finished great room with new carpet and built-in bookcase and cabinet and a large laundry/storage area. The backyard has a large level yard fully fenced. Off-street parking with room for a garage. 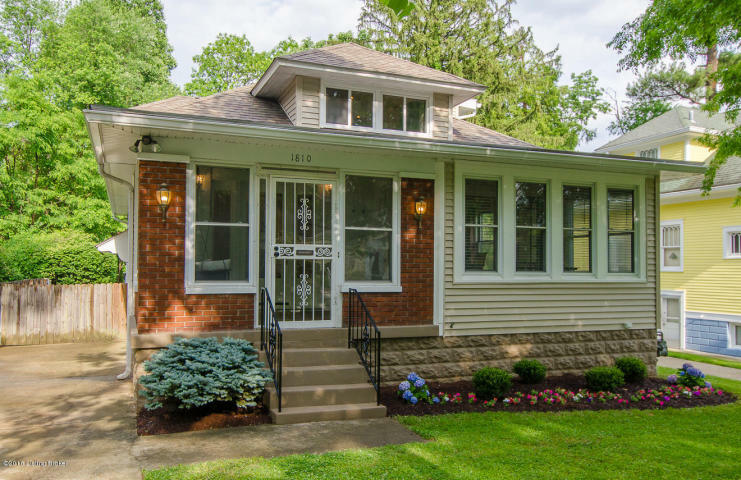 Home is in a great area close to Lakeside and all the restaurants, shops, etc on Bardstown Rd. 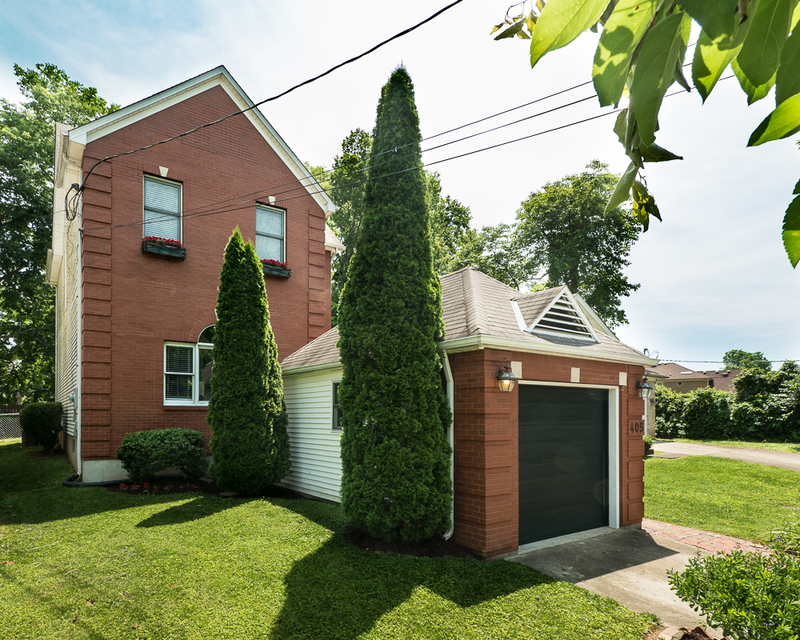 Traditional brick 2-story home, conveniently located on a quiet cul-de-sac in Middletown. Open living room with high ceiling and hardwood floors leads to private dining room and kitchen, both with access to the shady backyard and deck. Large master upstairs with 2 additional, nicely sized bedrooms. Basement has great storage and is currently being used as living space and easily finishable.